It actually arrived last week on my doorstep, but it's taken some time to fully go through it and absorb it all, and I still haven't really dived into the hard armour costumes. It is a beautiful book and a must have for a Star Wars costumer. 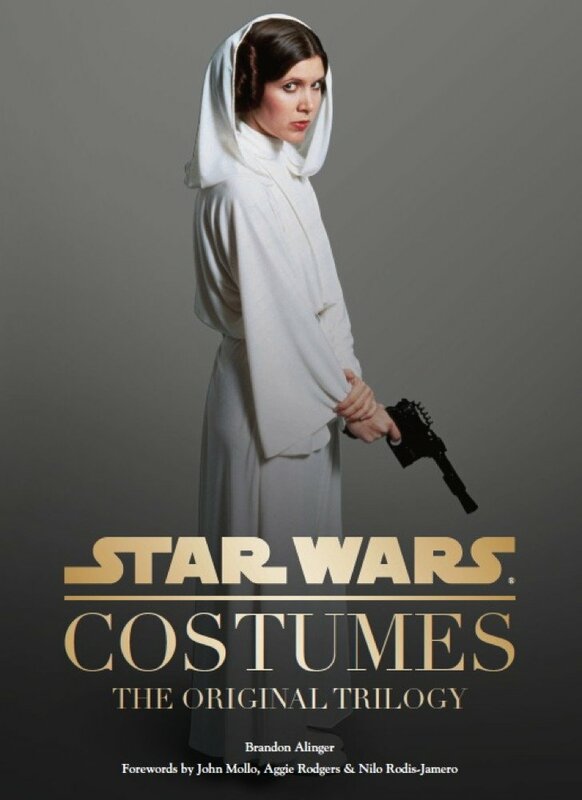 It's about the same size as the Dressing a Galaxy, the book about the prequel costumes. I really enjoyed the forewords from the costume designers, as well as the texts about each costume where they go into the detail on what the costume meant in the development of the character. As for costume info,well it's clear that it's made for us serious costumers. They are clear to note that for example the picture of the Classic Leia gown is from the ESB gown and not the ANH gown, and that the fabrics in them are different. Just the same there are three folodouts, one for each variation of stormtrooper from ANH, ESB and ROTJ. There simply are lots and lots of details, I would actually say it's more detailed than Dressing a Galaxy. Another difference to Dressing a Galaxy is the focus on background characters, maybe not so strange when you compare the amount of costumes worn by the main characters in the two trilogies. Here it's a lot about pilots and troopers, so definitely more "male" costumes than in DAG. My favorite new info is that it actually tells that both Bespin Leia and the Classic Leia are made out of crepe de chine. The only disappointment was that it's not a single picture of Leia's ceremonial gown, from the end scene of ANH and that the only Leia spread out is of the bikini. For my personal costumes I now feel that my A-wing pilot is so inaccurate, but I'm stoked to add more details to my Endor trooper. I've totally misjudged how the Endor poncho is constructed, but I still think mine looks good enough.